Lolo's Blinds & Drape Studio specializes in offering first rate window treatment, window blinds, drapes, and shutters for your home. "You'll never know what's out there until you start looking." "We can't wait to hear your answers!" "Our shelves only house the best of products to ensure that your money is well spent." "Individualized help for individualized needs. We're here to help you find what exactly what you're looking for. " "Please join us for an evening of wine, cheese, and shopping this Thursday from 5-9 PM. ?? *1817 S. Osprey Avenue, Sarasota, FL 34239. *"
Yes, I'd like to receive news from Lolo's Blind & Drape Studio. 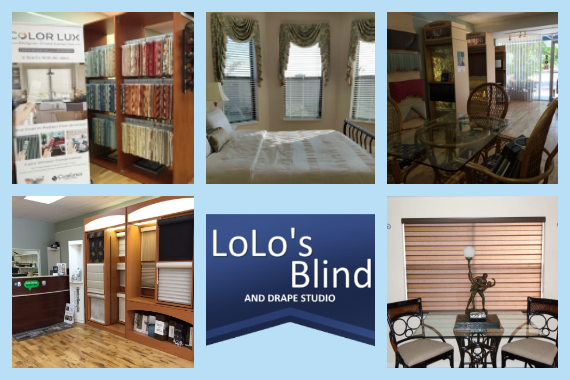 Sign up for the Lolo's Blind & Drape Studio Newsletter!